Lucy's neighbor is a genius inventor in need of funding, She figures Mr. Mooney will approve some financing for her friend if they help him with his misbehaved 13-year-osld nephew he's stuck with. Mr. Mooney's bratty nephew has already scared away six babysitters. Her genius pal builds a life-sized mechanical babysitter to entertain the brat, but its doesn't survive a Lucy-induced fall down the stairs. Lucy must now pass herself off as the robot and gives the delinquent some much-needed discipline. 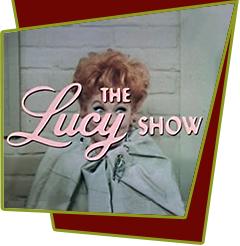 Special Notes: Lucy suggests the "deadpan" robot would be a good replacement for Ed Sullivan. The famous TV show host was nicknamed "Old Stoneface" for his unsmiling demeanor.